Valves This category contains the different types of valves. These different types are Angle Seat, Ball, Butterfly, Check, Diaphragm, Globe, Manifold, Needle, Shuttle, Solenoid, and Zone Valves. 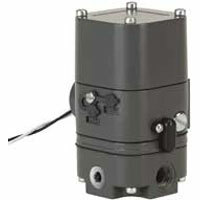 Actuators Actuators come in pneumatic and electric actuators for automating quarter-turn valves. This category contains accessories. Applications include damper control. These actuators have a compact rack-and-pinion design. 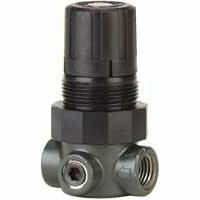 Dwyer offers double acting and spring return models in a variety of sizes to fit any application. Air Filters / Regulators This category includes filters, regulators and lubricators for pneumatic systems. 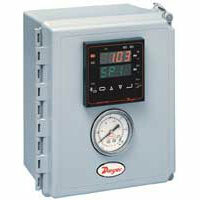 Dwyer's regulators are low cost and one of the models is miniature. Variety of fittings and port sizes depending on the regulator. 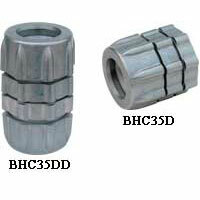 Bulk Head Connectors Bulk Head Connectors allow for easy installation of blow tube through the dust collector wall and eliminate the need for welding of use of additional flanges. The fittings enable easy removal and re-assembly of blow tubes for cleaning and maintenance. Controllers Controllers control the current position of a valve or damper. Low cost, weatherproof, and are used in industries like food, pulp and paper, chemical and pharmaceutical. The different type is Electro-Pneumatic. Current to Pressure Transducers Current to Pressure Transducers in which some products are NEMA 4X enclosures, compact, low cost, and explosion-proof. Applications include valve actuators, brakes, clutches, and relays.